Irwin Gootnick, M.D. 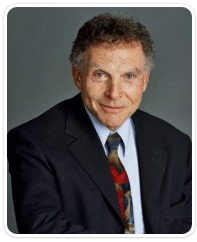 is a psychiatrist with private practices in both Marin County and San Francisco. He is board-certified and has been in practice for over 40 years. Dr. Gootnick is also the author of two self-help books, Why You Behave in Ways You Hate & Self-Help for Smarties. Dr. Gootnick is an Associate Clinical Professor of Psychiatry at the University of California in San Francisco and is a leading member of the San Francisco Psychotherapy Research Group. and numerous other national TV and radio stations. Dr. Gootnick lives in Northern California with his wife, radiologist expert witness Susan Gootnick, MD.